Sparks Ever After: A Linkup Announcement! Last week Libby emailed me about a possible linkup collaboration, and I was thrilled to join in with her. We decided that since summer was coming to a close and school was starting back in full force, what a better time than now to take a trip down memory lane to your high school days? 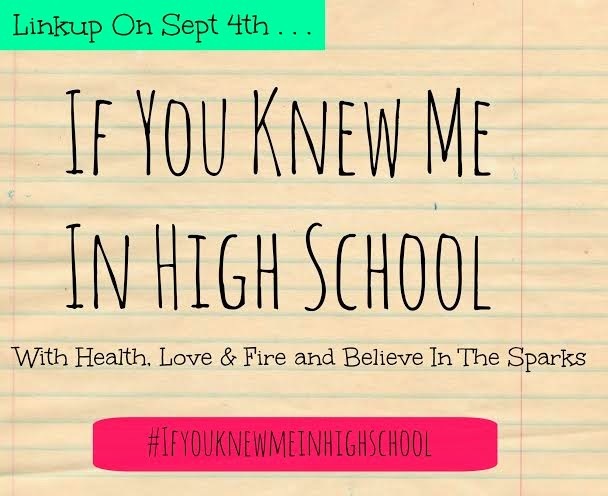 Join Libby and me next Thursday, September 4th, for a one time If You Knew Me In High School linkup. Were you the senior class president? The captain of the cheerleading squad? A star athlete? We want to know! Grab the button below and dish all your high school secrets. Don't forget to dig up a few of those embarrassing prom pictures. We want to see it all! We can't wait to read all your high school stories and find out who you were in high school! That is a fun idea for a link up. I think I blocked most of high school from my mind. Perhaps a few pictures will jog the memories. Ooooh fun! This sounds like a good link up! Interesting idea! Glad more people are coming up with link ups!